Museum of Modern Art, New York, 1970. First Edition. Hardcover (Original Cloth). Near Fine Condition/Good. 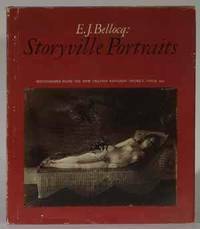 BELLOCQ, E.J. Storyville Portraits, Photographs From the New Orleans Red-Light District, Circa 1912, New York: Museum of Modern Art, 1970. Quarto, first edition, pp. 18, 33 single-sided plates, plus frontispiece photo, brown cloth boards with gilt lettering to spine, 34 duotone reprints made by Lee Friedlander with preface by Friedlander and a 10-page conversation among Friedlander and other experts. These are Bellocq's only surviving photos, as far as anybody knows. 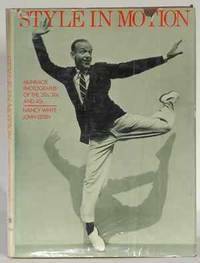 Dust jacket is first state with original $12.95 price, which was gradually increased for later states. H.S. Goodspeed, New York, 1871. First Edition. Hardcover (Original Cloth). Good Condition/No Dust Jacket. E.J. GOODSPEED. Great Fires of Chicago and the West, New York: H.S. Goodspeed, 1871. Octavo, pp. xvi, 17-676, green cloth boards with gilt lettering and fire motif to spine, blind-stamped decoration on boards, color folding map, dramatic double-page illustrations, former owner's name on free front endpaper. Mostly about the Chicago fire, although fires in other parts of the Midwest are discussed toward the end of the book. Random House, New York, 1996. Revised Edition. Hardcover (Original Cloth). Fine Condition/Fine. E.J. 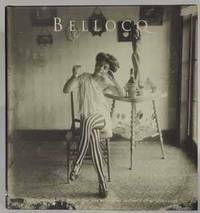 BELLOCQ. Photographs From Storyville, The Red-Light District of New Orleans, New York: Random House, 1996. Square quarto, expanded edition of a 1970 book, pp. 83, black cloth boards with blind-stamped lettering to front and spine, duotone photo plates. These photos, taken in the early 20th century, were first shown at the Museum of Modern Art in 1970, printed be Lee Friedlander from glass plates he had purchased. The book released for that show went out of print, thus this new edition, larger and with more photos than the original. Bellocq apparently established rapport with the women of Storyville and so was able to make highly successful portraits, which existed in obscurity until the MOMA show. Technical Press, London, 1953. First Edition. Hardcover (Original Cloth). Very Good Condition/No Dust Jacket. DALZELL, J. MOIR, and LINSSEN, E.F. 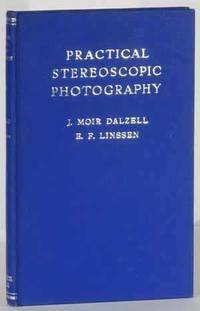 Practical Stereoscopic Photography, London: Technical Press, 1953. Octavo, revision of a 1936 first edition, pp. xv, 240, blue cloth boards with silver-stamped lettering on spine and upper panel, halftone photos, original bill of sale attached to rear endpaper. Revision updated Dalzell's original work to discuss the 35mm camera, with modern illustration. Simon & Schuster, New York, 1970. First Edition. Hardcover (Original Cloth). Fine Condition/Fine. Inscribed by Author. PERELMAN, SIDNEY J. 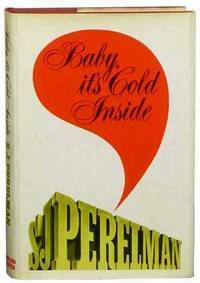 Baby, It's Cold Inside, New York: Simon & Schuster, 1970. Octavo, first edition, pp. 253, red cloth boards with gilt-stamped lettering on spine and upper panel, top edge tinted red, inscribed by the author on the title page "For Harriet with such admiration for her prose and her person that words fail me ... Sid, 26 September, 1970. Northland, Flagstaff, 1994. First Edition. Hardcover (Original Cloth). Fine Condition/Fine. Signed by Illustrator. LOIS ESSARY JACKA. 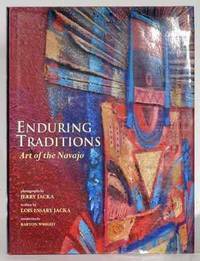 Enduring Traditions, Art of the Navajo, Flagstaff: Northland Publishing, 1994. Tall quarto, first edition, pp. vii, 200, red cloth boards with gilt lettering stamped into front and spine, photos by Jerry Jacka, signed by him on the title page. Covers the range of Navajo art including jewelry, baskets, rugs, masks, dolls. St. Onge, Worcester, Mass, 1961. First Edition. Hardcover (Full Leather). Fine Condition/No Dust Jacket. LOUIS JACOBS. 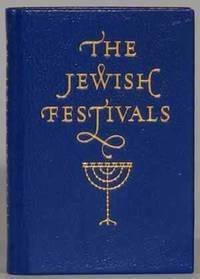 The Jewish Festivals, Worcester: Achille J. St. Onge, 1961. Miniature (about 2x2.5 inches or 5x7cm), edition limited to 2000 copies, pp. 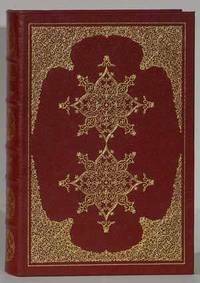 63, 1 (colophon), blue morocco covers with gilt lettering to front and spine, gilt menorah on front, gilt star of David on back. Covers New Year, Day of Atonement, Tabernacles, Passover, Pentecost, Hanukkah, Purim. Bradbury, St. Onge 18. Little Brown, Boston, 1913. Revised Edition. Hardcover (Original Cloth). Very Good Condition/No Dust Jacket. JAMES, GEORGE WHARTON. 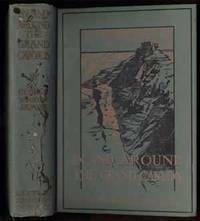 In and Around the Grand Canyon, Boston: Little, Brown, 1913. Heavy octavo, enlargement of the 1900 first edition, pp. xxiv, 352, illustrated boards, fold-out frontis photo and fold-out rear map on japan tissue, numerous halftone photos, gift inscription penciled onto a blank preliminary page. Stains on spine, edges of boards lightly worn, overall very good. Size: Octavo (standard book size). Text body is clean, and free from previous owner annotation, underlining and highlighting. Binding is tight, covers and spine fully intact. All edges clean, neat and free of foxing. Quantity Available: 1. Shipped Weight: 1-2 kilos. Category: Antiquarian & Rare; United States; 1900-1920; Travel & Places. Pictures of this item not already displayed here available upon request. Inventory No: 53001. .
Lippincott, Philadelphia. Edition Unstated. Hardcover (Original Cloth). Near Fine Condition/Very Good. JAMES, HENRY. The Complete Tales, Philadelphia: J.B. Lippincott, 1962-64. Octavo, in 12 volumes, olive cloth boards with silver and black stamped lettering on spines, silver logo on upper boards, top edges tinted various colors. Edited by Leon Edel. The series begins with James' earliest writings in 1864 and carries through to 1910. JAMES, HENRY. The Portrait of a Lady, 1978, illustrated by Colleen Browning. Fine, gilt bright. First edition of the work in this format and binding, and/or set or series. Size: Quarto. Text body is clean, and free from previous owner annotation, underlining and highlighting. Binding is tight, covers and spine fully intact. All edges clean, neat and free of foxing. Quantity Available: 1. Shipped Weight: 1-2 kilos. 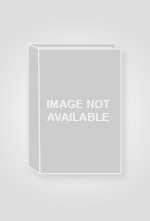 Category: Literature & Literary; England; 19th century; Fiction. Pictures of this item not already displayed here available upon request. Inventory No: 53679. .
Aperture, New York, 1997. First Edition. Hardcover (Original Cloth). As New/Fine. JAN STALLER and LUC SANTE. On Planet Earth, Travels in an Unfamiliar Land, New York: Aperture, 1997. Oblong quarto, first edition, pp. 95, 1 (colophon), red cloth boards with silver-stamped lettering to spine, color photos. 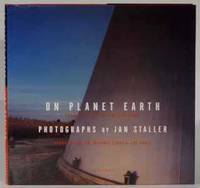 Staller's pictures of industrial wastelands work with Sante's story Flood Plain. St. Martin's, London, 1972. First Edition. Hardcover (Original Cloth). Very Good Condition/Good. JAY, BILL. Customs & Faces, photographs by Sir Benjamin Stone 1838-1914, London: St. Martin's Press, 1972. Quarto, first edition, unpaginated with a 20-page introduction and 68 photolithographic reproductions of Stone's pictures, black cloth boards with gilt lettering on spine. Stone captured like nobody else the peculiar nature of Olde England, with photos of festivals, pageants, gypsies, the poor, the common and the just plain weird, like the men celebrating the Hare Pie and Bottle Kicking Festival in Holaton. Dust jacket is chipped, price-clipped, and has small wrinkles. St. Onge, Worcester, Mass, 1964. First Edition. Hardcover (Full Leather). Fine Condition/No Dust Jacket. THOMAS JEFFERSON. On Science and Freedom, the Letter to the Student William Greene Munford, Worcester: Achille J. St. Onge, 1964. Miniature (about 2x2.5 inches or 5x6.5cm), limited edition of 1000, pp. 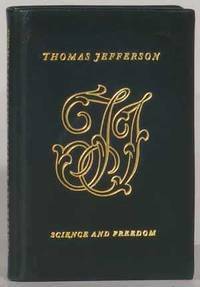 60, 1 (note), dark green calf covers with gilt lettering to spine and front, gilt initials on front, in original wrapper and plastic case, frontispiece is a profile of Jefferson, all edges gilt. Bradbury, St. Onge 25. Inland Printer, Chicago, 1902. Later Edition. Hardcover (Original Cloth). Good Condition/No Dust Jacket. JENKINS, HARRY. 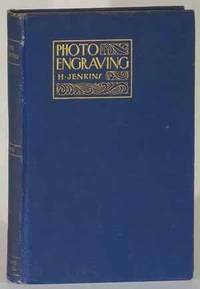 A Manual of Photoengraving, Chicago: Inland Printer, 1902. Octavo, second edition, pp. 169, 5 (ads), blue cloth boards with gilt lettering on spine and upper panel, 5 color frontis plates demonstrating the four-color process, numerous other illustrated plates, 2 former owners' names on free front endpaper, Inland Printer catalog attached to rear pastedown. This edition added chapters on halftone color work by Frederick Ives and Stephen Horgan. Roosens/Salu 8334 erroneously credits the entire edition to Ives and Horgan. Boards lightly worn but both hinges cracked. Carnegie Institution, Washington, 1933. Early Edition. Hardcover (Original Cloth). Good Condition/No Dust Jacket. WALDEMAR JOCHELSON. 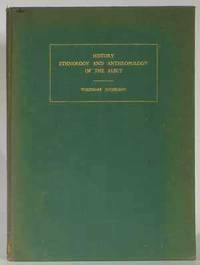 History, Ethnology and Anthropology of the Aleut, Washington, D.C.: Carnegie Institution, 1933. Quarto, English-language edition of a Russian book, pp. v, 91, green cloth boards with gilt lettering on front, halftone photos. The author, financed by Imperial Russian sources, spent two years in the Aleutian Islands doing the research that resulted in this book. Little Brown, Boston, 1994. First Edition. Hardcover (Original Cloth). Near Fine Condition/Near Fine. MEYEROWITZ, JOEL, and WESTERBECK, COLIN. Bystander: A History of Street Photography, Boston: Little, Brown, 1994. Quarto, first edition, pp. 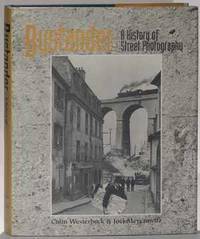 430, green cloth boards with silver lettering to spine, halftone photos, formerly owned by the New York street photographer Frank Paulin, with his ownership signature on the half-title page. Clarkson Potter, New York, 1979. First Edition. Hardcover (Original Cloth). Very Good Condition/Very Good. ESTEN, JOHN, and WHITE, NANCY. Style in Motion, Munkacsi Photographs '20s, '30s, '40s, New York: Clarkson Potter, 1979. Quarto, first edition, pp. 176, brown cloth boards with silver-stamped lettering on spine, remainder mark at top edge, duotones, many with no bleed. A post-mortem review of the career of Martin Munkacsi as seen through his fashion photos and other work. Constable, London, 1934. First Edition. Hardcover (Original Cloth). Good Condition/Good. JOHN CARTER and GRAHAM POLLARD. An Enquiry Into the Nature of Certain Nineteenth Century Pamphlets, London: Constable, 1934. 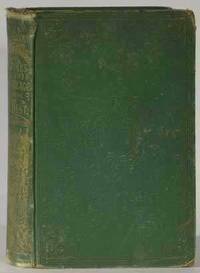 Octavo, first edition, pp. xii, 398, red cloth-covered boards with gilt lettering to spine, top edge gilt, 4 plates, bookplate of the great collector Albert Parson Sachs, with frequent penciled notes, perhaps by Sachs but not necessarily. Recounts an investigation into one of the most sensational dealer-collector frauds in the history of the book business, in which Thomas Wise, an eminence in the trade, printed pamphlets that he claimed were first editions of well-known works, and managed to palm them off on collectors whose trust he had gained. 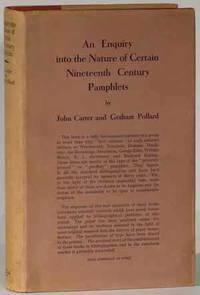 This went on for years, until Carter and Pollard dug into details such as the composition of the paper and proved that it was made long after the dates Wise had printed in the pamphlets. Marion & Co, London, 1901. Later Edition. Hardcover (Printed Boards). Good Condition/No Dust Jacket. JOHNSON, ROBERT. 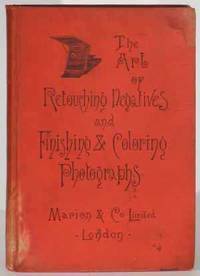 Complete Treatise on the Art of Retouching Photographic Negatives, And Clear Directions How to Finish and Colour Photographs, London: Marion & Co., 1901. Octavo, fifth edition of a work released in 1886, pp. [i], 151, red cloth boards with black lettering and vignette on upper panel, drawings. Johnson began issuing this book in 1886 and it was reprinted and rewritten well into the 20th century, the last rewrite appearing in 1945, long after he was dead.